Maaike van der Meulen is a Dutch book-artist living in Zwolle. 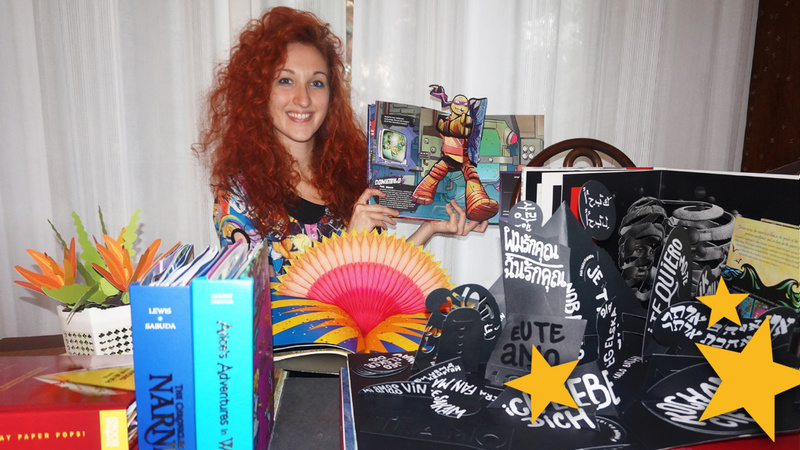 She graduated as an illustrator and uses old printing techniques to make books and artwork. This year Maaike finished ‘Licht’, a handmade pop-up (edition of 3). One copy was acquired by the Dutch Royal Library of The Hague. 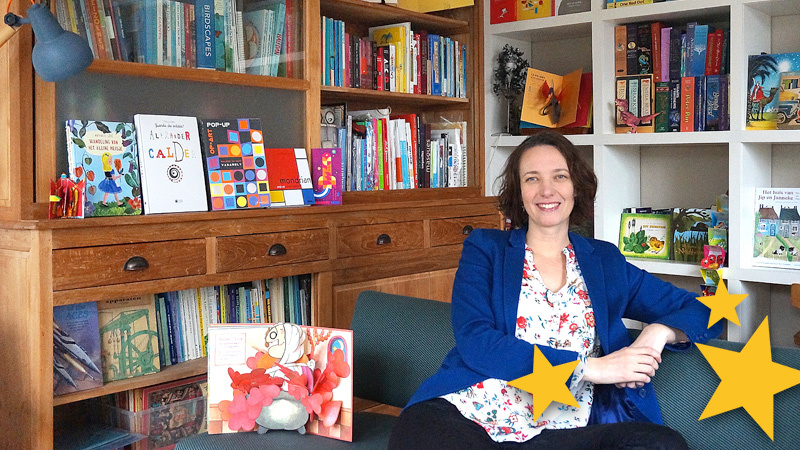 Maaike started collecting movables and pop-up books about 10 years ago. 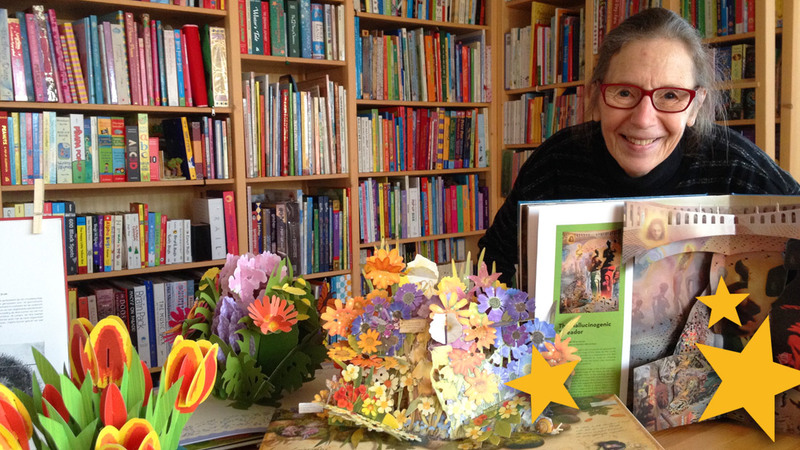 Maaike says: “The joy of looking into these catching books feels pure happiness”. For more information about Maaike and her wonderful projects visit her website www.tantepapier.nl or @TantePapier at twitter. MM – When I was a student I bought ‘Pooh’s enchanted place’ in a sale and gave some away as a gift. It brought back childhood memories, as it does for many collectors. It really began to take off when I bought One red dot by Carter. It was an eye-opener to the artistic use of pop-ups and what was going on with paper engineering in the United States. So I got hooked. MM – More than one, of course. I’m very enchanted by the ‘French school’ at this moment. The duo Rigaud and Boisrobert surprise me every time. And I like Gérard lo Monaco’s style. I also admire the movable books by Katsumi Komagata. MM – Komagata’s ‘Little tree (petit Arbre) is sophisticated, simple and therefore strong design I seldom see. Trail by David Pelham almost made me cry. This book, with such complex engineering, all in white, is a beautiful and surprising ode to the garden. Shawn Sheehy’s Welcome to the neighbourwood is a favorite, because he used handmade paper and letterpress in his design. The trade edition is mass-printed, and I’m actually curious about the look and feel of the earlier handmade limited edition of this book. The vintage books by Vojtech Kubasta make me smile, my favourite is Tip and Top on the moon. These books are full of joy and ingeniousely made. Brava, Strega Nona by Sabuda and Reinhart. They made the story and illustrations by Tomie dePaola into a perfect pop-up book. The engineering gives power to the wise lessons of Strega Nona. I fell in love with this combination. I was very satisfied with the purchase of Momotaro by Icinori. This silk-screened limited edition reaches perfection in design and execution. MM – About 350. A lot of them are new, a lot of them are from the 60’s-80’s and some oldies. Because of my limited budget I can’t afford the antiques (yet). MM – I try to complete my serie of National Geographic action books. These are pretty and interesting, well engineered illustrated books. My next order will be Sabuda’s The Dragon & the Knight or Dino Mania by Arnaud Roi. MM – A story illustrated by Patrick Hruby that comes to life with spectacular American engineering. And make sure it enhances each other… (just dreaming). For now I’m eager to see if Tina Kraus can make her Circus Zingaro published. MM – A warning. 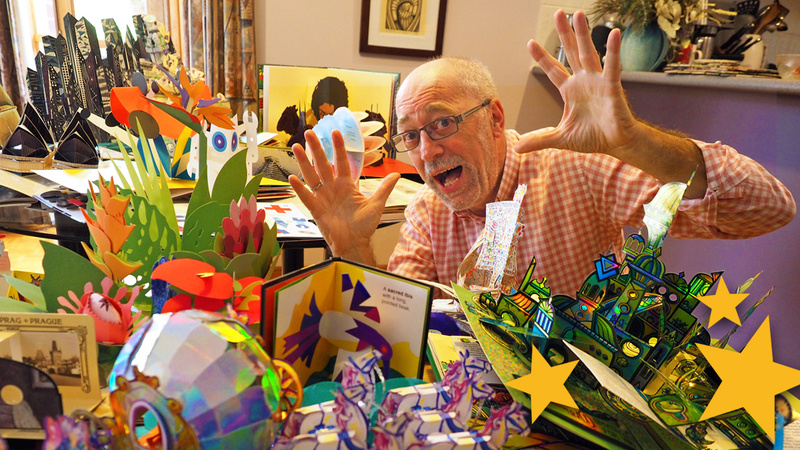 Collecting pop-up books is contagious, bad for your savings but very healthy for your creativity and happiness. I like being in contact with other collectors. 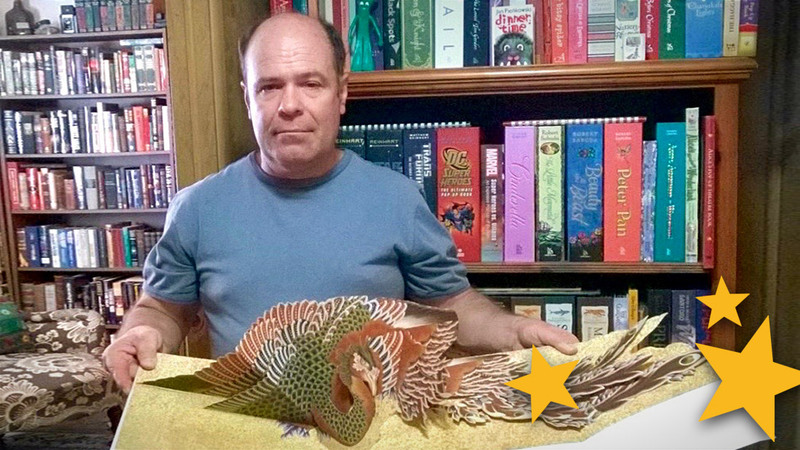 I’m new in the field, and they have collections of thousands, knowledge and experience. Very helpful and fun. I think this group has a joint goal: take care of as many wonderful movables as possible. And they share a love of pop-ups. The rest of your family and friends are probably bored by your next story about a book hunt. And what should you collect? Since there are so many. By theme or paper engineer? My background as an illustrator plays a role in my choices. I look for engineering and pictures that appeal to me. Artistic and handmade books catch my attention. MM – Keep on going! Make it grow. It looks very professional as do the video’s. 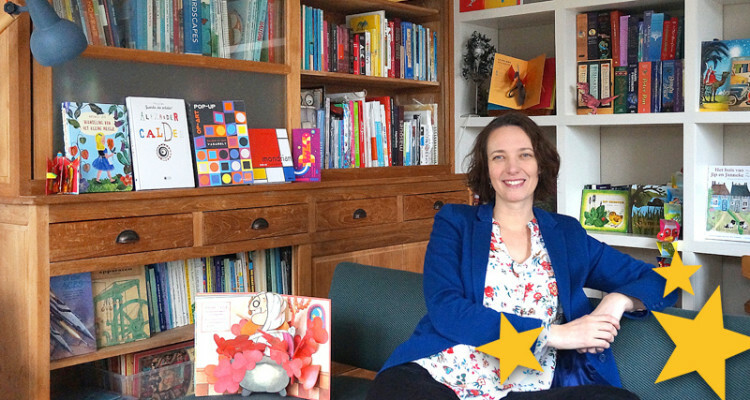 Thank you Maaike for sharing your impressive pop-up book collection with us and congratulations being Pop-up book Collector of the Month January!